The day for delivering the SONA varied from president to president. It was not until 1979, following the provisions of the 1973 and 1987 Constitutions, did the day of delivering the SONA become the fourth Monday of July. 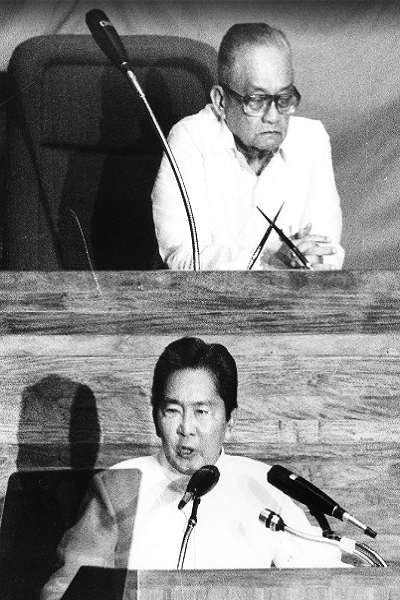 The first president to address the Congress at the Batasan Pambansa in Quezon City was President Ferdinand Marcos. He was soon followed by Presidents Corazon Aquino, Fidel Ramos, Joseph Ejercito Estrada, Gloria Macapagal Arroyo, and Benigno Aquino Jr. in delivering their SONA’s in the same venue. On July 28, 2014, President Benigno Aquino will be delivering his fourth SONA. The past year has been a turbulent one for the Aquino administration. The PDAF (Priority Development Assistance Fund) or pork barrel scam, rehabilitation of typhoon Yolanda-hit areas, territorial disputes in the West Philippine Sea and just recently, the unconstitutionality of the Disbursement Acceleration Program (DAP) are some of the issues the President is expected to address. How will he address these issues? What will be his action on the people held accountable for DAP? What are his plans in the last two years of his term? Hopefully these questions, and some, will be answered during his SONA.